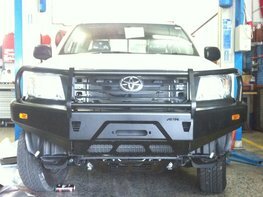 A bull bar / winch bumper improves the vehicle's appearance and protects the front of the vehicle when used offroad and in case of a collision. 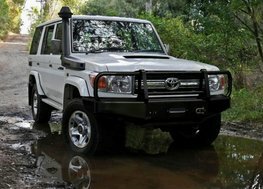 It also provides mounting points for a winch, driving lights, antenna's and Hi-Lift jacking points. The traditional bull bar incorporates a tapered channel replacing the original bumper to enhance the approach and departure angles. 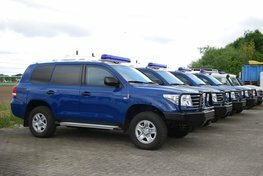 It is engineered to allow for the fitting of a selected range of winches. The raised centre section allows the fitting of large diameter driving lights. Our bullbars are produced in Europe and due too much shorter European logistics we can offer better quality, flexibility and much better lead times then the Australian competition which is mainly produced in China and Asia.